Ian Maigan, a native of Palawan, calls Baler, Aurora his home. Ian Maigan is known for his Pointillism style in which tiny dots of primary-colors are used to generate secondary colors. 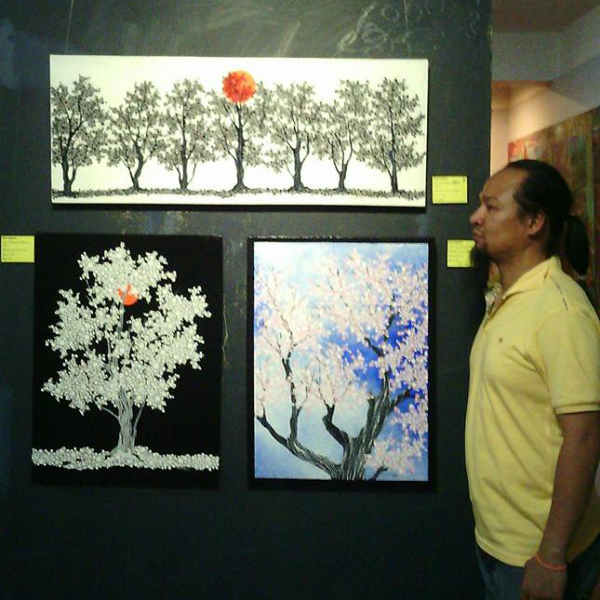 Ian Maigan is one of the Baler Artist that initiated Tareptapism. Tareptepism defines a distinctively Filipino art style. ”Tareptepan Arts and Music Festival”, Costa Pacifica Hotel, Baler, Aurora, Philippines, June 28, 2014.